SQLScout 4.3.0 Released | IDEScout, Inc. 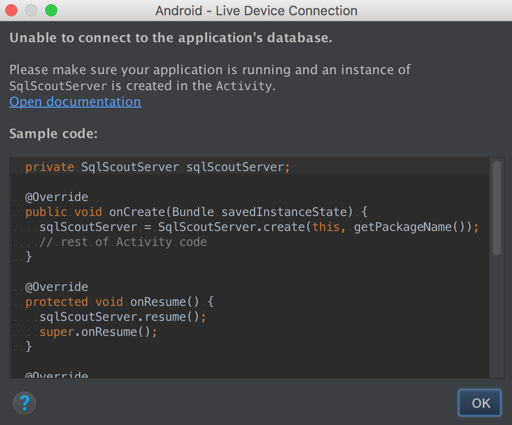 When creation of a “Live Device” connection fails due to a failed connection to the app, SQLScout now displays a dialog suggesting that an instance of SQLScoutServer may be missing in the application’s Activity. The dialog includes a link to our documentation, and code samples that can be copied/pasted.